Besides the newish '61 Reissue, which ES-335s over the decades had the slimmest necks (I'm particularly interested in the early 90's models, of which I see very few, but any era with the slimmest neck will do)? I can't promise you they are the slimmest, but I can tell you that the highest volume of negative comments about how slim a model's neck was that I've read were directed to the early 2000s Memphis DOT reissue with the " '60s Slim Taper Neck." 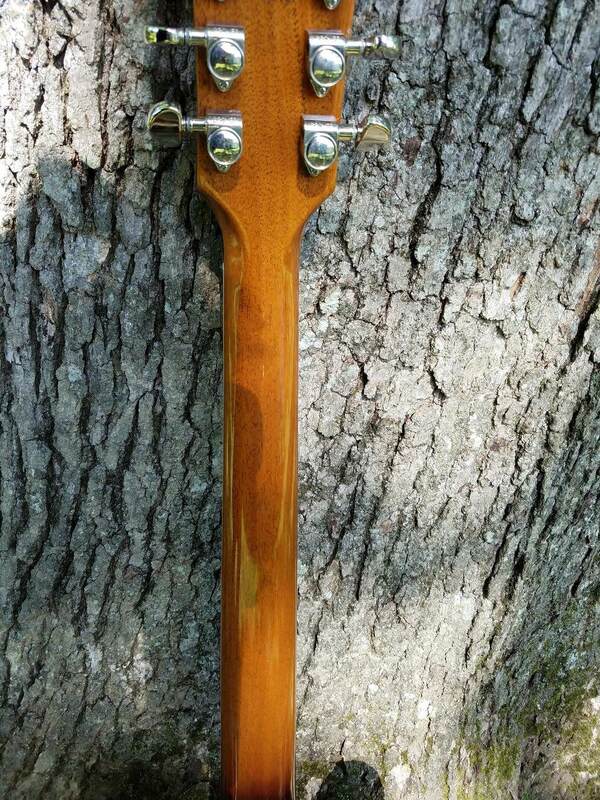 I happen to have a 2005 and experienced the onslaught of negative comments about the neck being way too slim. Perhaps that qualities. Now we are talking depth from front to back. The fingerboard is quite wide from treble to bass. Yes, Bob, depth, thanks for the helpful info. I have a 2014 Dot and the neck is definitely slim. I think it measure .81" - .88". It is a great guitar either way. It has rounded shoulders, more so than my Epi Sheraton or my 1995 Firebird V which each have/had more pronounced/substantial shoulders. Not that you will be able to tell anything from this photo, but here it is anyway. If I had never happened in to my '59 Reissue, I would have been happy with this one for all of eternity. I still love it. Gonna go play it now thanks to this post.